Did you know that TES had an anthem? Really! 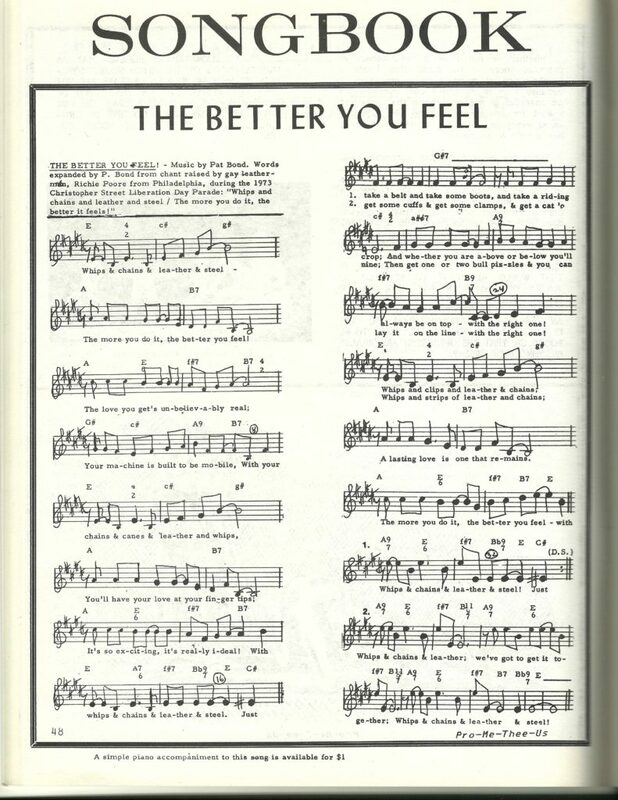 Our founder Pat Bond was also a musician, and, as you’ll see below, he adapted a Pride Parade chant into a full song— “The Better You Feel.” This issue was the Jack Jackson Memorial Anthology, honoring the memory of a TES president (we had presidents back in the day) who passed away.